If a patient is in need of wisdom teeth extraction for the first time, they may have several questions in mind. Since the procedure is associated with fear due to common misconceptions, knowing everything about it firsthand can make them feel at ease and confident while undergoing the treatment. Here are the most common questions patients have about wisdom tooth removal. 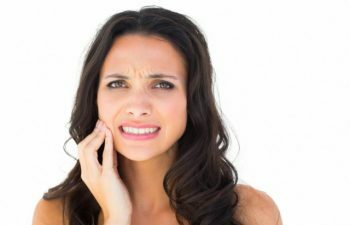 Why is the extraction of wisdom teeth necessary? Most people do not have enough room in the jaw, and once the wisdom teeth push through, it can result in overcrowding and even cause the adjacent teeth to misalign. Having it extracted is best to prevent the surrounding teeth from being affected. On the other hand, leaving the teeth unattended can lead to several oral complications. The procedure to be performed depends if the teeth have erupted or stayed under the gums. If it has fully grown, the process is similar to standard extraction. The tooth will be gently rocked back and forth until it slowly comes out. But if the tooth is trapped in the gums, a surgical method is performed. A small incision is made on the gums to gain access to the tooth underneath, and it can then be removed. To close the site, self-dissolving stitches will be used. At Allen Dentistry, you can rest assured that we perform dental procedures skillfully yet minding our patients’ comfort and safety. To make sure that they will feel comfortable during wisdom teeth removals, we offer sedation dentistry options in the form of oral sedation and nitrous oxide for a more pleasant experience. The duration of the procedure depends on the number of the tooth to be removed. But the extraction of all four wisdom teeth usually lasts in under two hours. Healing takes at least two weeks if the recommendations of the dentist are strictly followed. Make sure to arrange 3-4 days of little to no work to guarantee a fast and successful recovery. We at Allen Dentistry care for our patients’ oral health as much as they do. Since preserving the teeth is best performed, we first weigh the consequences and exhaust the options available to save the teeth from being extracted. However, in the case of wisdom teeth, we may suggest extraction. For more inquiries about Wisdom Teeth Removal in Allen, TX as part of our Tooth Extraction Services, call us at Allen Dentistry. You can also visit us at 551 W. McDermott Dr. Allen TX 75013.